Crispy and freshly cut! Perfect amount of saltiness! I love getting pickles! So crunchy and delish! Lots of spinach up in here lol! The dough part was crispy, flaky and delicious. A classic Jewish food originating from Eastern Europe! Must try at any deli. You can get different fillings as well instead of spinach such as potato, meat, cheese etc. Also a must order at a Jewish deli. Soup is good for the soul! I LOVED the pastrami at 2nd Ave. I like my pastrami thin cut,, juicy and flavorful and it was all of that. I usually order a pastrami Reuben at a deli, but since they don’t have cheese, I had to do without. The pastrami was so good though that I didn’t even miss the cheese. Pastrami was perfection! 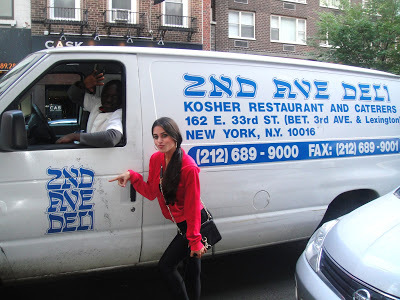 You can’t get a more authentic Jewish deli than 2nd Ave. It’s the real deal! You definitely have to pay a visit if you like deli food. You won’t be disappointed. And remember, it’s Kosher so no milk/dairy and meat, only meat at this place! Enjoy!